There have been changes regarding admission to the CNHC register - we are aware of this and are working to ensure that those completing our Diploma in clinical aromatherapy are still able to join CNHC should they so wish. We have been offering our highly regarded small group courses and workshops in complementary therapy and spiritual development for many years at our sanctuary in this haven of peace and tranquility. ​As specialists in small group and one to one tuition we are perfectly placed to meet your needs and you can be sure of plenty of clear focused learning. Of course, if you would prefer, we are able to come to you - we can deliver our courses at your college, clinic or spa. Go here to visit our corporate and group page. As well as our courses and therapies, we also have a wonderful country garden where you can sit and think - a little plant nursery where you can buy treasures - and have a chat .....and a sanctuary where you can enjoy peace, serenity, tranquility, healing.... well its just a magic place- come and join us!! ​​Reiki Master Practitioner - Level 3 Cert. 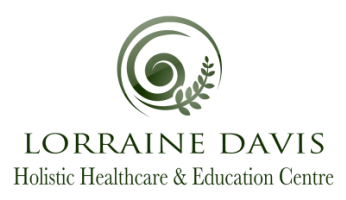 Visit Lorraine Davis Holistic Healthcare and Education Centre's profile on Pinterest.